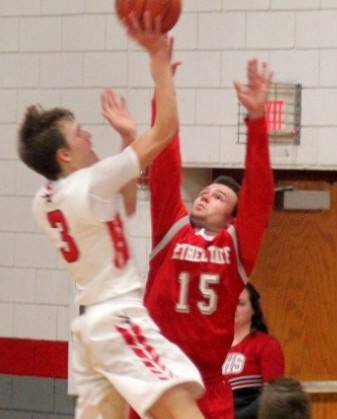 LEES CREEK — A 26-2 Bethel-Tate first half run allowed the Tigers to overcome a slow start to defeat East Clinton 53-34 Friday night at East Clinton High School. The Astros (0-18, 0-10) got off to a strong start, outscoring the Tigers (3-18, 3-9) 8-2 over the first four minutes of the game. Over the next six minutes, it was all Bethel-Tate. The Tigers forced turnovers at one end and converted baskets at the other. After taking the 8-2 lead, East Clinton had just one field goal for the remainder of the half. With 6:07 left in the first half, the Tigers had turned an 8-2 deficit into a 28-10 lead. East Clinton shot just 6 of 24 for the first half (25 percent) and had 14 turnovers. Meanwhile, the Tigers shot a blistering 54.2 percent (13 of 24). Bethel-Tate scored the first four points of the third quarter to extend its lead to 19 points. The Tigers would stretch the lead to as many as 23 in the second half. Cody Johnson had a strong game at both ends of the floor for the Tigers. He had 21 points, eight steals and four assists. Branson Smith led the Astros with 13 points, six rebounds and four steals. Jared Smith had eight points and three steals. (53) BETHEL-TATE (fg-3fg-ft-tp) Noah Weis 1-0-0-2, Cody Johnson 8-1-4-21, Cole Hebbard 3-0-2-8, Griffin Reinert 3-2-0-8, Alex Manz 2-0-0-4, Cooper Reinert 1-0-0-2, Kyle Smith 2-0-2-6, Luke Frondorf 1-0-0-2. TOTALS 21-3-8-53. 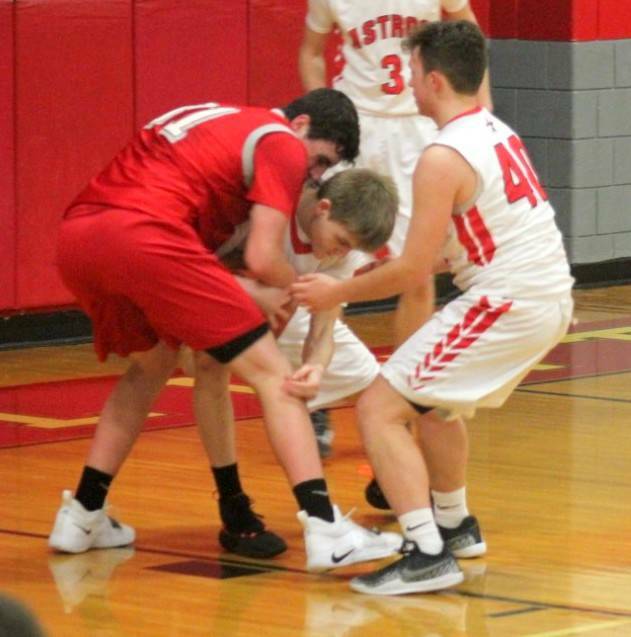 (34) EAST CLINTON (fg-3fg-ft-tp) Branson Smith 5-0-3-13, Jared Smith 3-1-1-8, Landon Runyon 1-0-0-2, Quinten Tolle 1-0-1-3, Matt Mitchell 1-0-2-4, Colton Vadnais 2-0-0-4. TOTALS 13-1-7-34. Matt Sexton covers high school sports for the News Journal. Follow him on Twitter @bymattsexton.